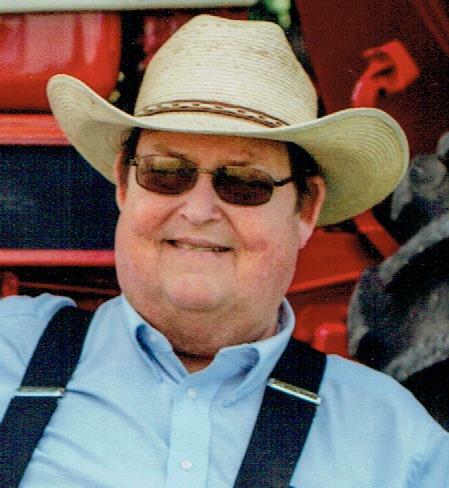 Forrest L. Fisher, age 61, of Scio passed away Monday April 16, 2018 in Aultman Hospital, Canton surrounded by his loving family. Forrest was born July 27, 1956 in Dennison, Ohio, to the late Melvin and Mollie Watkins Fisher. He graduated from Carrollton High School in 1974. Forrest proudly farmed the land held by the Fisher family for three generations. He was a volunteer firefighter for over 30 years with the Loudon Township VFD. He enjoyed hunting, fishing and spending time with his children and grandchildren. Forrest was a member of the New Rumley United Methodist Church. In addition to his parents, Forrest was preceded in death by his first wife Cindy Lumley Fisher and a half-sister Sue McDannels. Surviving are his wife Cherri Fisher; daughters Jenn Fisher, Marcy (Rhett) Vincenzo and Kristin (Tim) Potts; a step-son Brad (Cindy) Scott; a step daughter Natalie (Dylan) Demas; grandchildren Daria and Nathan Scott, Grayson Demas, Emily and Daxton Potts and Cooper Vincenzo and a sister Alicia (Phil) LaMancusa. Services will be held Friday, April 20th at 1 pm in New Rumley United Methodist Church, 41395 Scio-New Rumley Rd (St Rt 646), New Rumley, Ohio, with Pastors Tom Snodgrass and David Lee officiating. Burial will follow in New Rumley United Methodist Cemetery. Friends may call Thursday from 5-8 pm at Koch Funeral Home, Scio. Memorial contributions may be made to New Rumley United Methodist Church, c/o Sandy Knowles 11877 William Penn Blvd., Hartville, Ohio 44632.